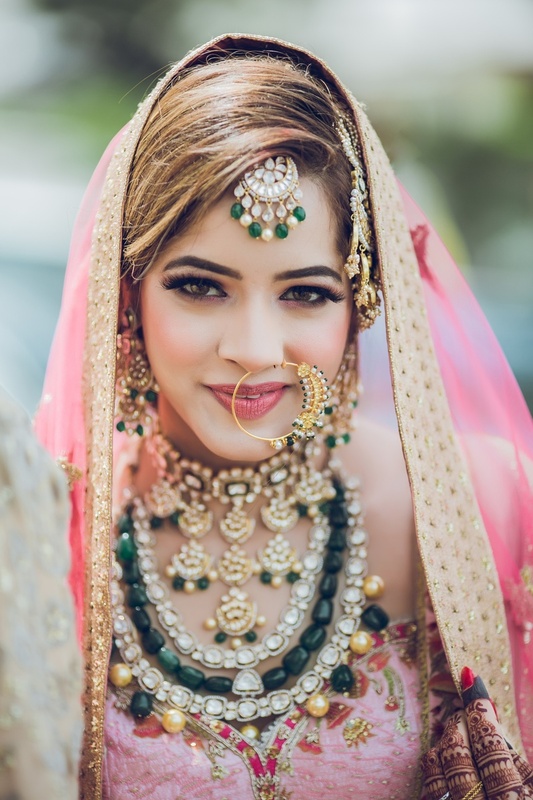 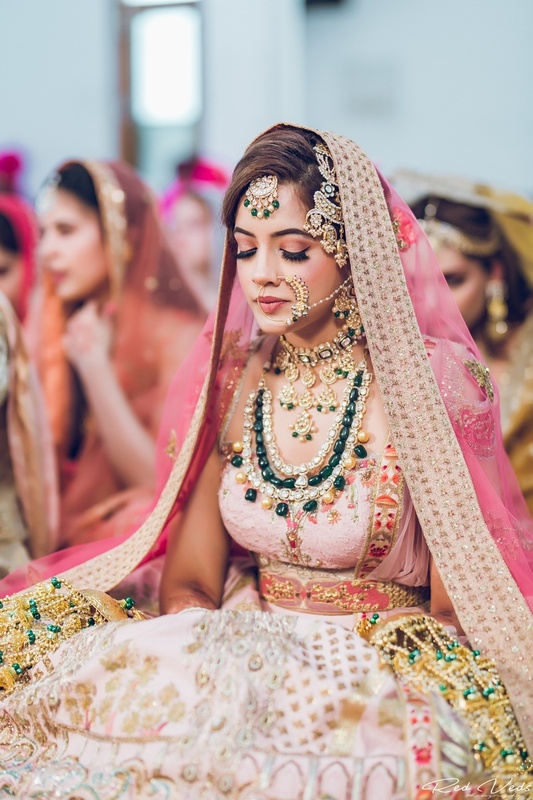 This bride's glam wedding outfits and make up will give you some major bride goals! 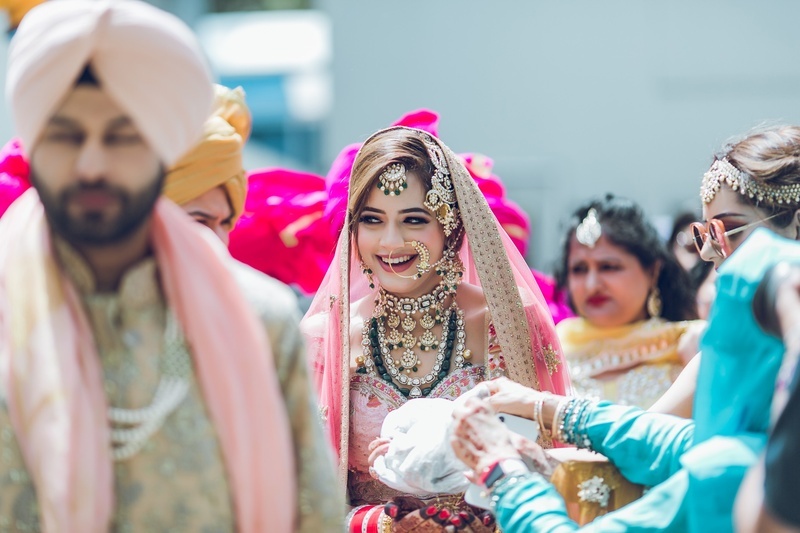 Ruhi and Jason announced their love to the entire world when they got married in an absolutely gorgeous wedding ceremony. 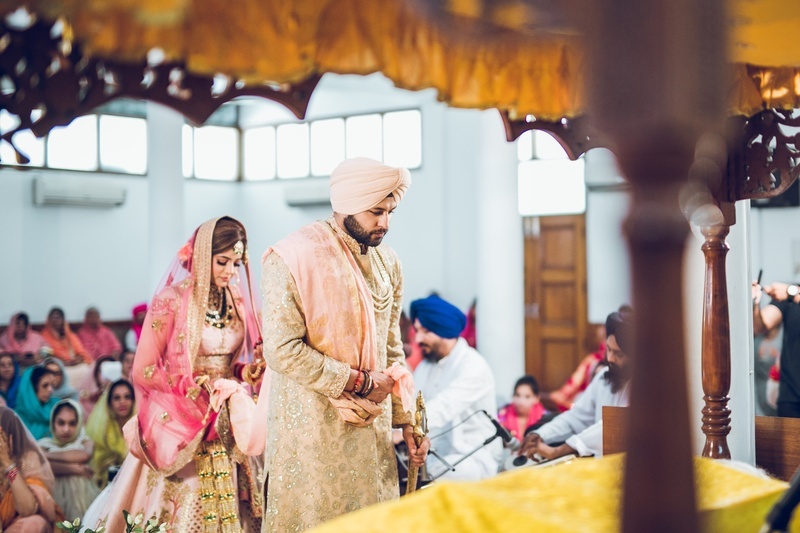 The traditional Sikh wedding took place in Gurudwara Sahib, Chandigarh. 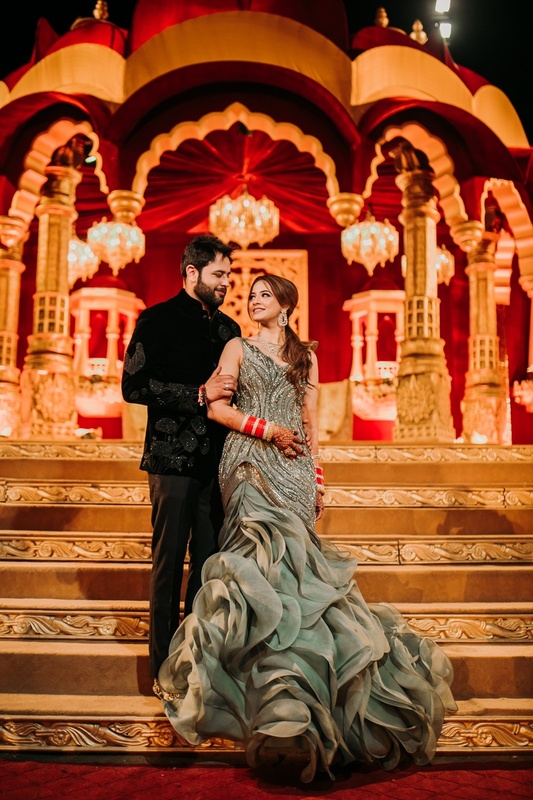 The bride looked like a glam queen in her ethereal outfits! 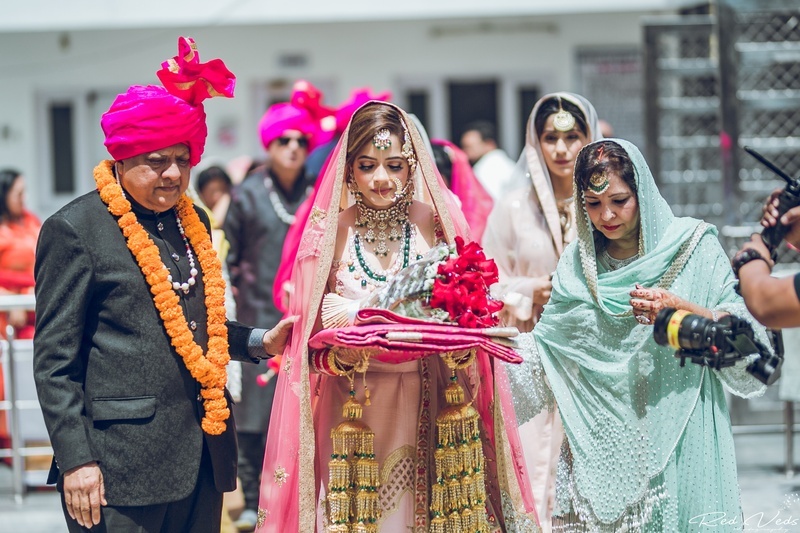 Kudos to Mohit Bhardwaj for clicking phenomenal pictures of this wedding! 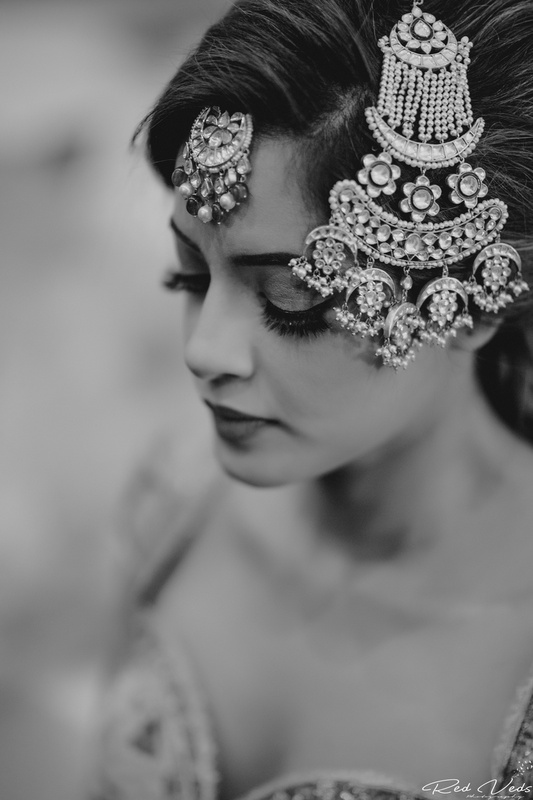 Ruhi and Jason met in London six years ago, but at that time they weren’t keeping in touch. 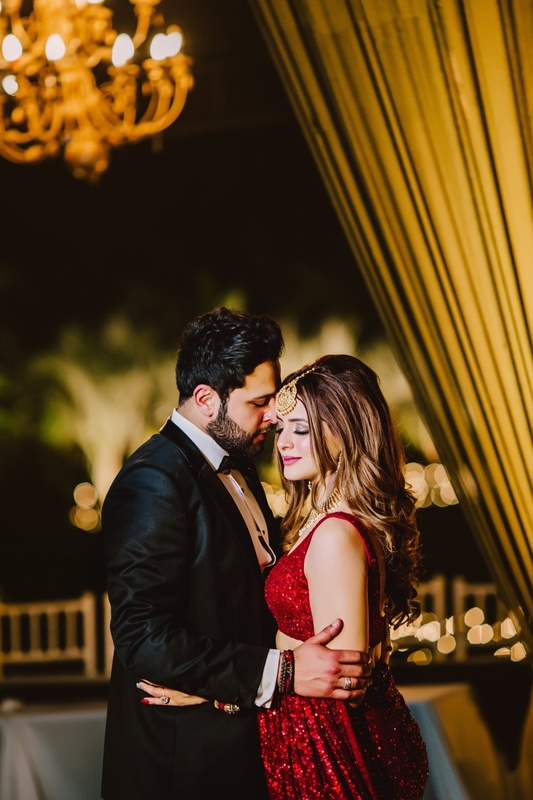 But destiny had something else in store for them. 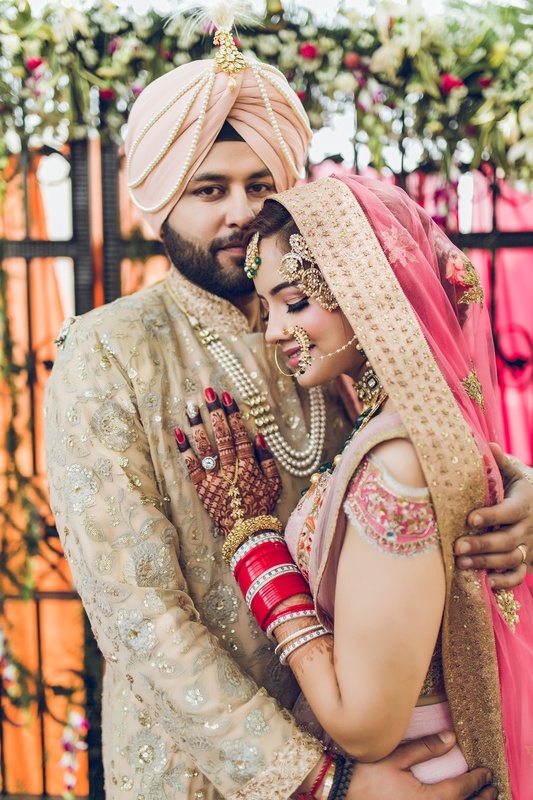 Years later, they met again in Chandigarh in the month of June, and exchanged numbers! 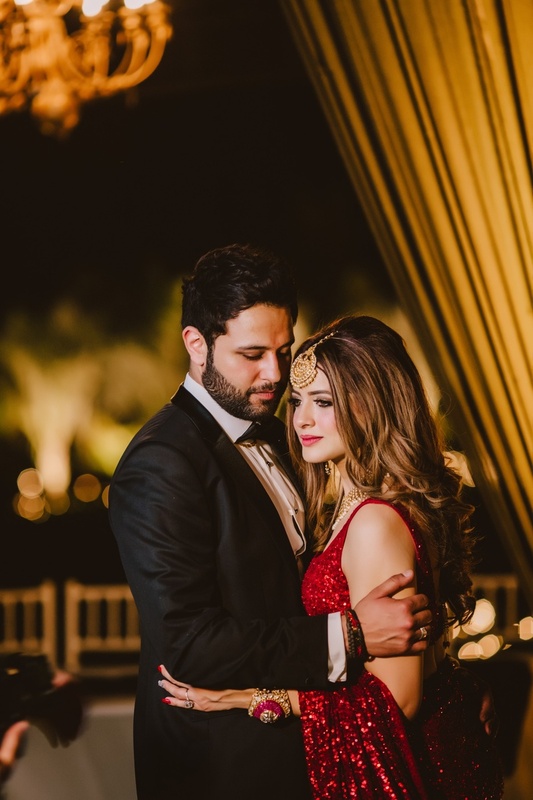 That’s when their beautiful love story began. 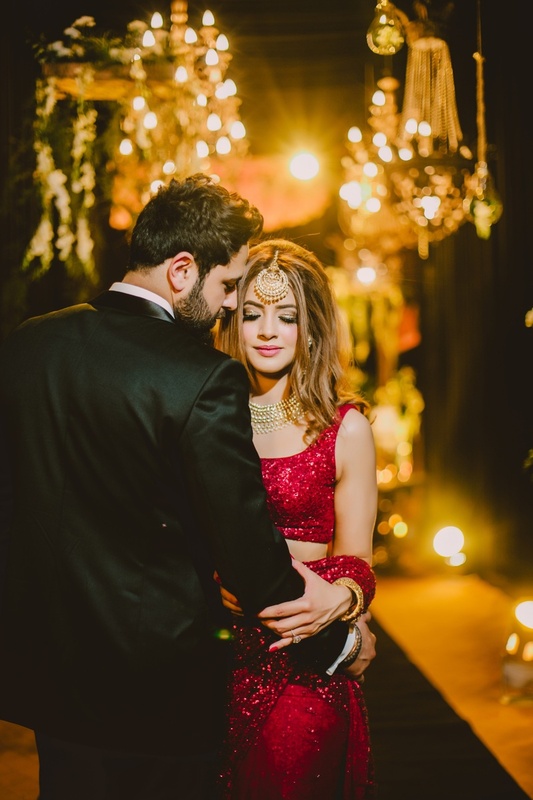 They just clicked the moment they started to get to know each other! 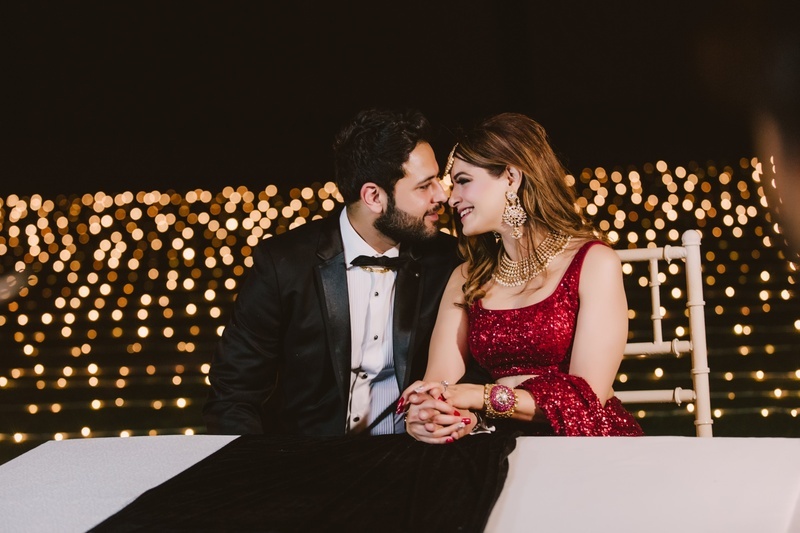 Jason came back to Chandigarh for a short trip to meet Ruhi and right before leaving he spoke his heart out to Ruhi and proposed her! 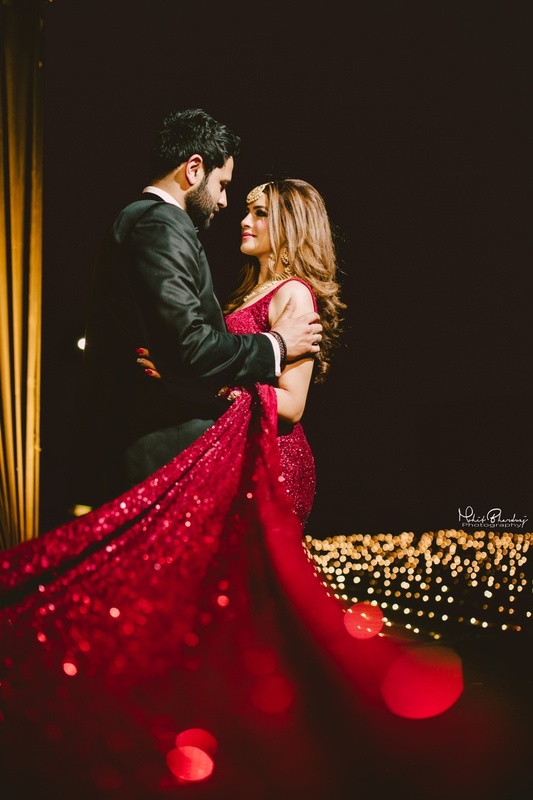 She immediately said yes and before leaving for London Ruhi and Jason got engaged in the month of November! 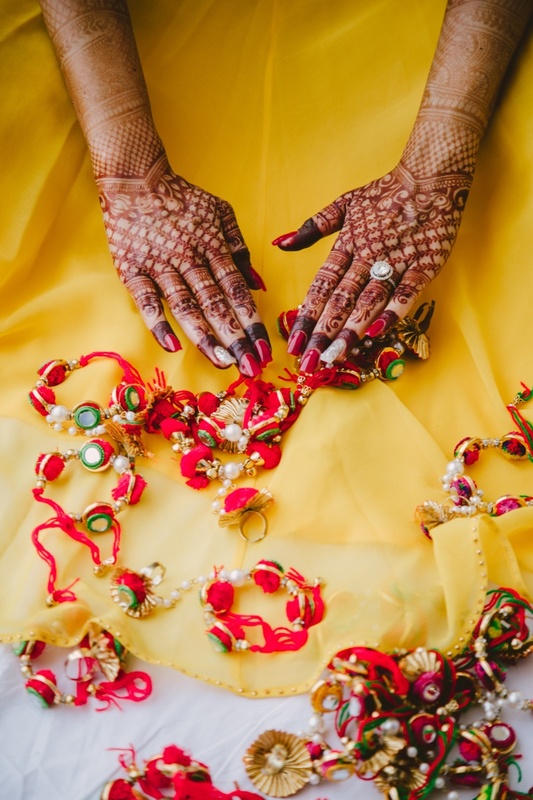 The planning process wasn’t easy as the bride wanted to pick all the vendors herself. 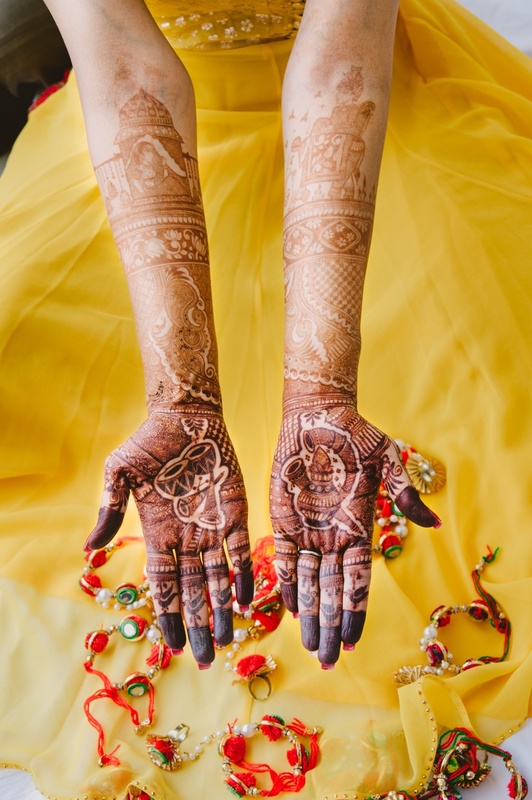 She balanced her office and wedding planning time effectively as she began the process quite in advance before the wedding! 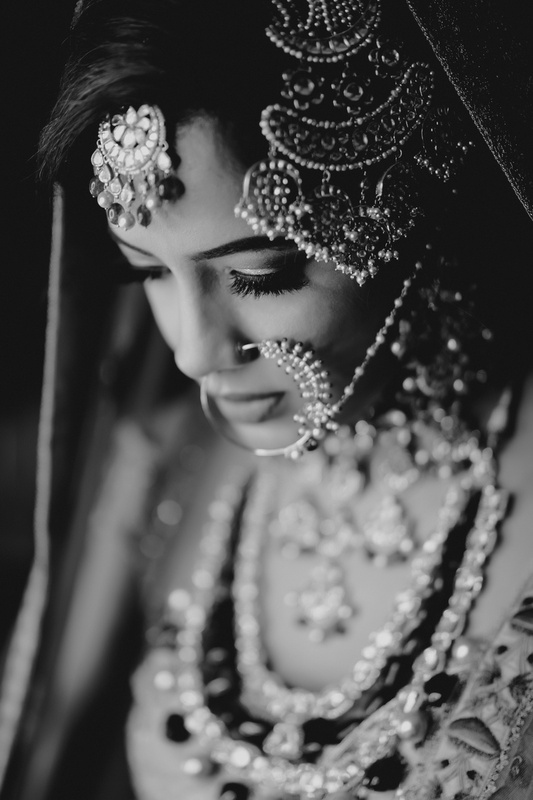 The bride had a wonderful experience with all the vendors that she picked! 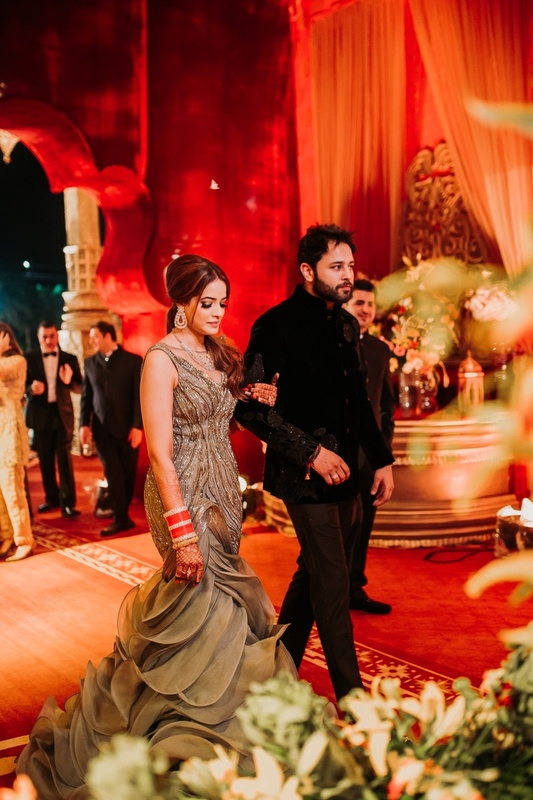 She described working with the designer Gaurav Gupta and said she had a truly phenomenal experience! 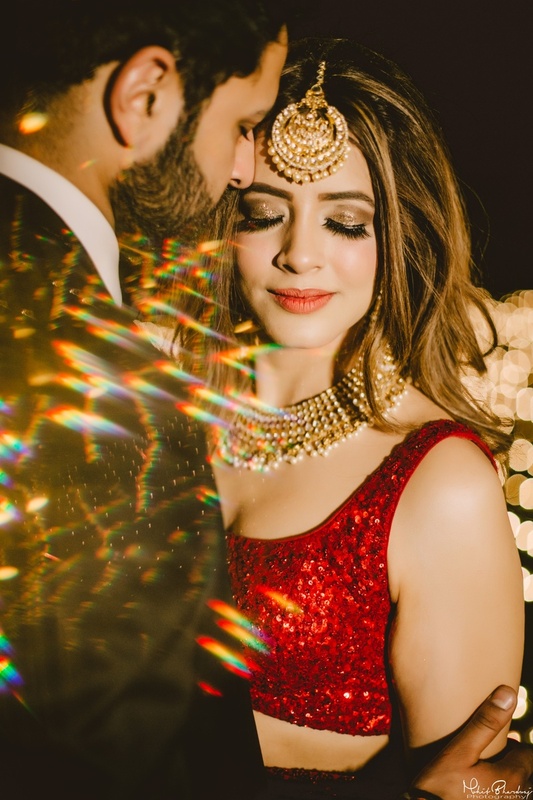 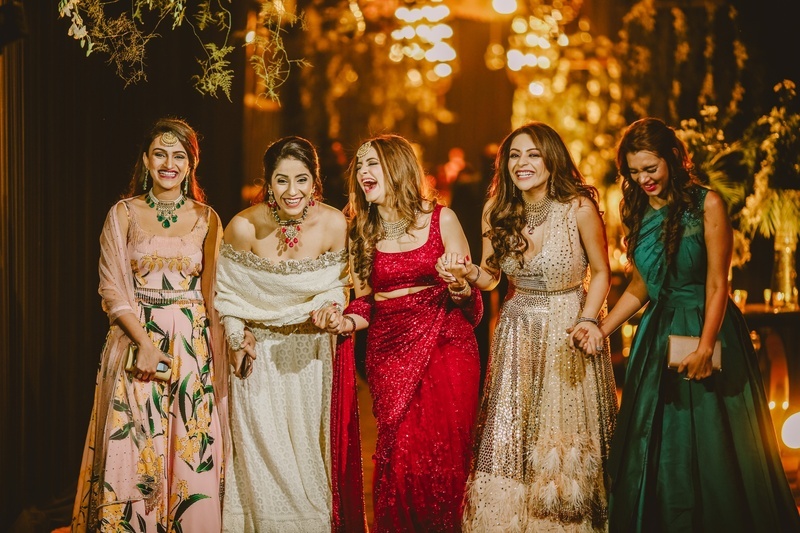 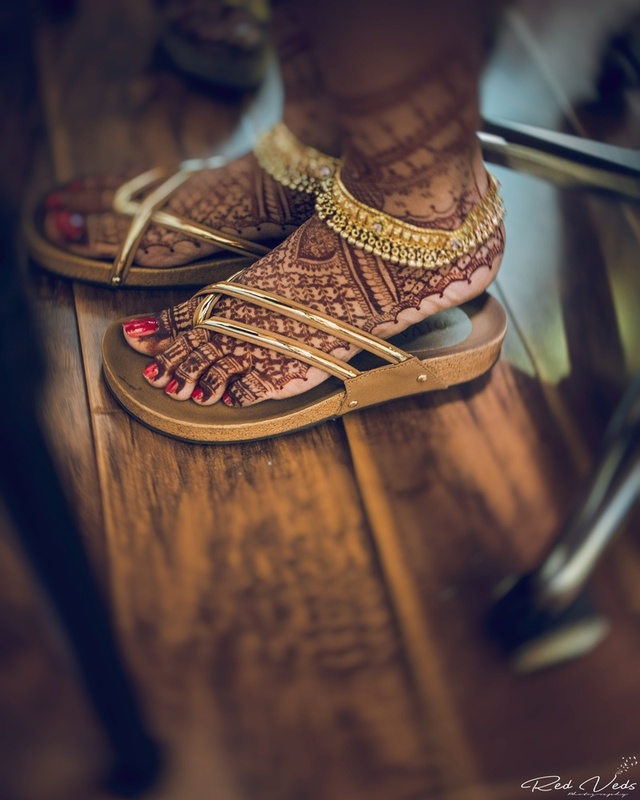 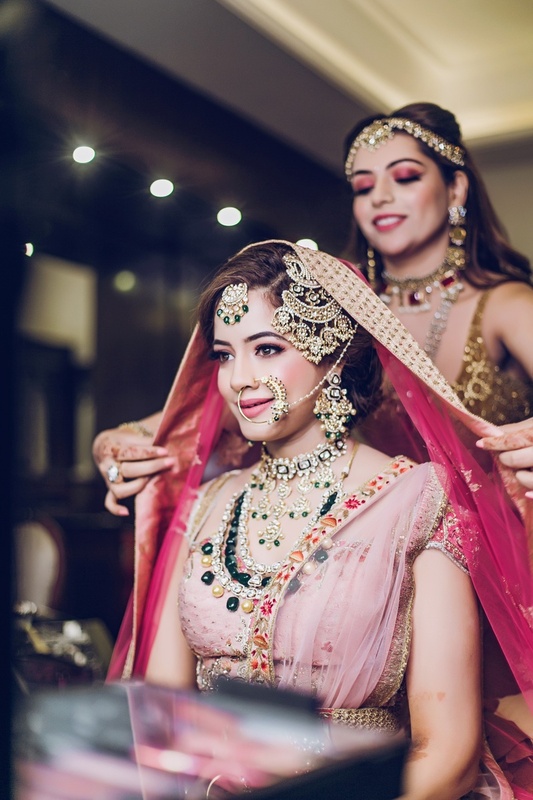 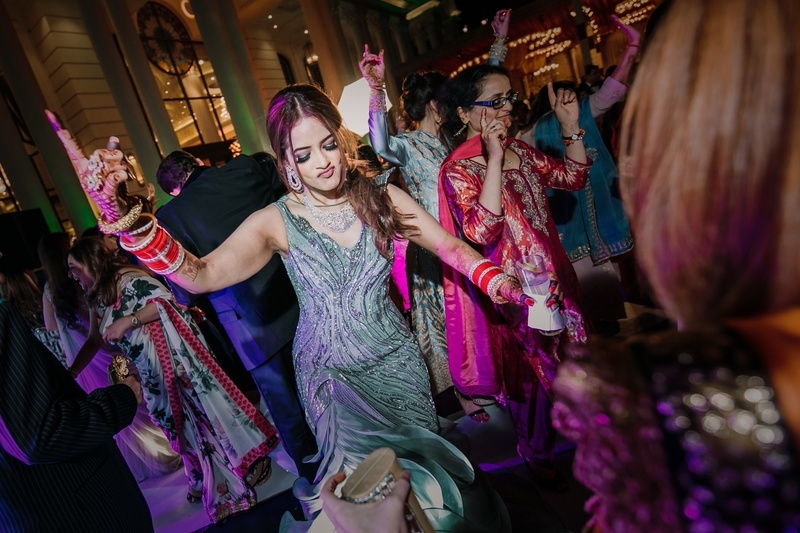 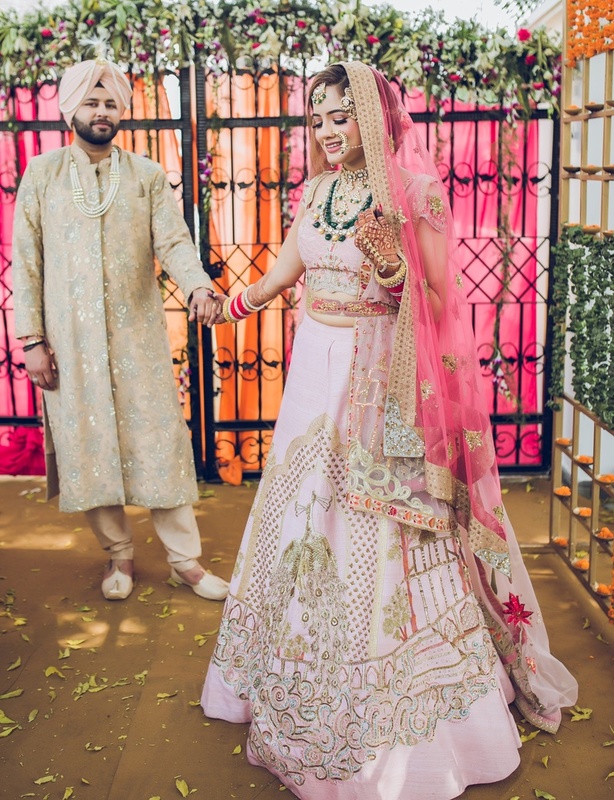 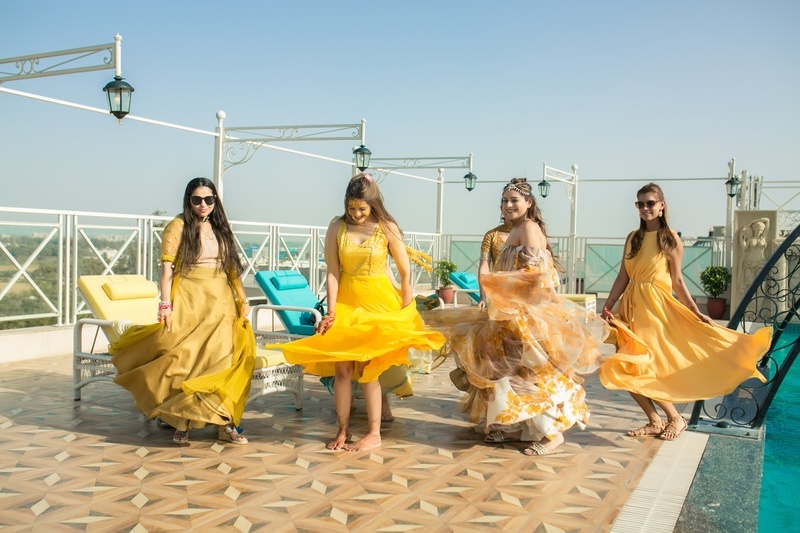 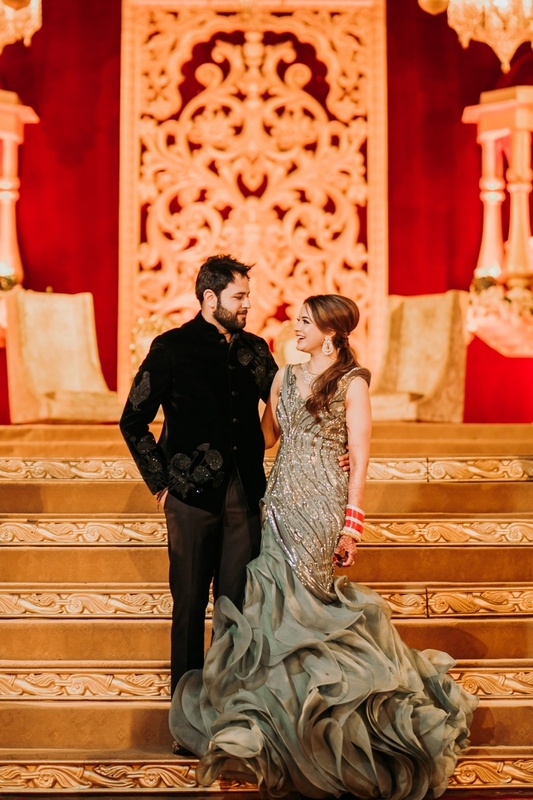 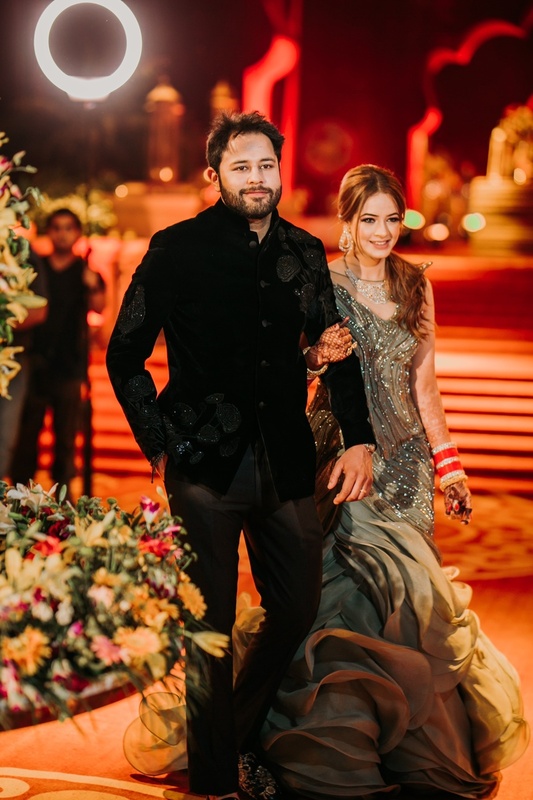 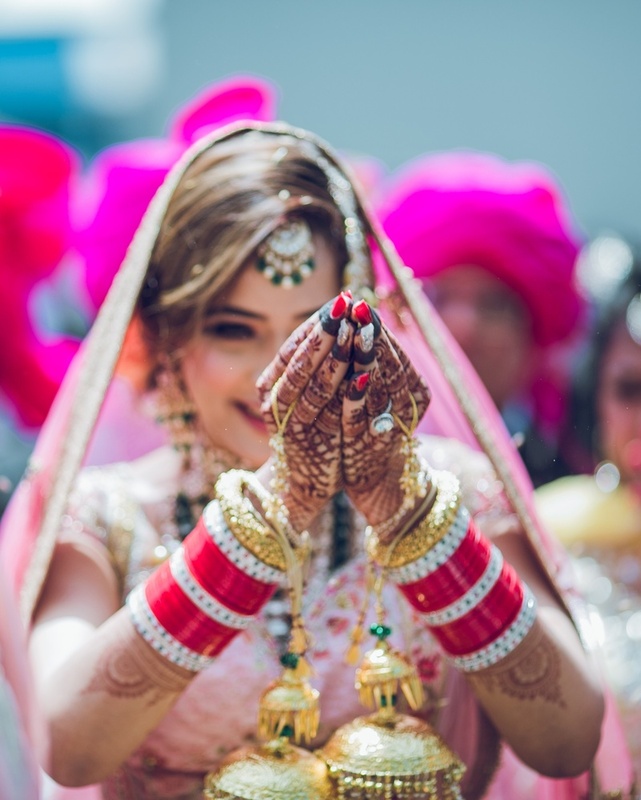 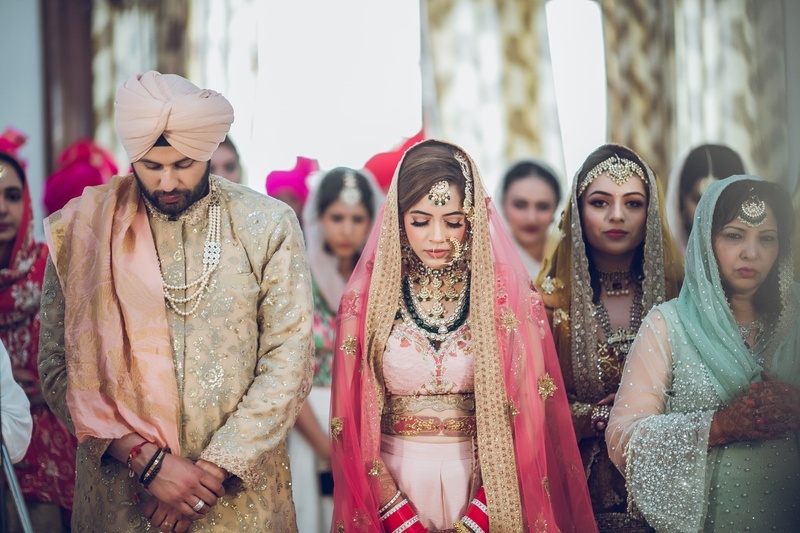 Apart from that, she loved the work of her wedding photographer Mohit Bhardwaj, who captured the wedding pictures like a beautiful series of memories! 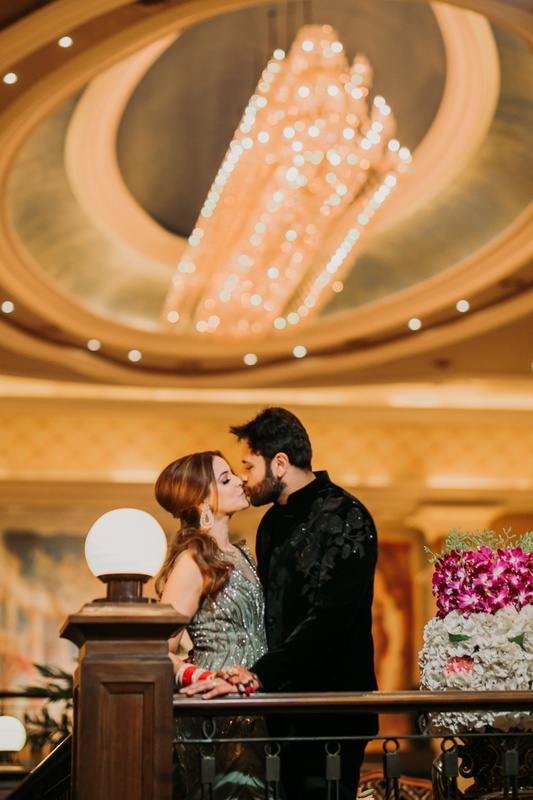 We absolutely adored the bond of love that these two love-birds share and we wish them a lifetime of happiness!